This is one book that needs you to read it twice to get the complete story registered. After reading it once, I felt as if i had missed out on something. When you read it for the second time, knowing the climax, you start getting the real feel of the story and find yourself getting attached to the protagonists. 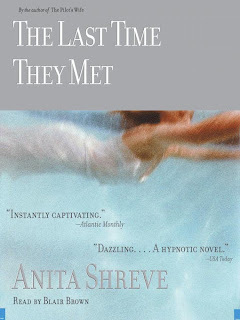 The author, Anita Shreve has used a method of telling the story of Linda and Thomas from end to the start, moving back in time. Its more like connecting a series of events with a narrow thread. The story begins with Linda and Thomas, both in their fifties, meeting at a hotel. The author gives us a small peak into their relationship and then takes us to Kenya where they had last met, about 30 years back. The story of the two lovers who nurture intense passion for each other is further revealed through the events that took place during their first meeting at high school. The story is intricately constructed and made me wonder about the weird ways of life. It is very apparent that the two were made for each other. But they were not able to make it together in life. The first time they got separated, we could blame Linda's aunt for going out of her way in ensuring that they remain so. Second time , the commitments that they had already made posed a hindrance to their union.By the time of their last meeting, it was too late. Linda was already a mother of two grown up children and Thomas was nursing the wounds of a daughter drowned in her early age. One could call it fate or an opportunity they had failed to utilize for which they paid with their life. What would have happened if they had just reached out, breaking the distance between their lives?I can't stop myself from thinking about that. The story ends tragically when Thomas commits suicide, lamenting over the life that could have been his. One of the worst things that can happen to a person is when he looks back at life and feels that it was a big zero. When he starts realizing how many opportunities he had missed, decisions that could have changed his life for the better. Thomas is the victim of the same. 'Love jihad' is the term coined for Muslim boys 'trapping' girls of other religions in their love and forcing them to convert to Islam. It got into the news in Kerala when some Hindu organizations started complaining after two girls escaped from 'Love Jihad'. Now even the Christian organizations are coming up with the complaint. I think the whole thing is a blow up by some anxious and conservative parents. One or two random incidents shouldn't be mistaken and enlarged to such proportions that they generate hatred towards the entire Muslim community. Posters claiming to be from 'Shiv Sena' have surfaced in many parts of Kerala warning Hindu girls against 'Love Jihad'. This is the first time that Shiv Sena activity has been reported in Kerala and I'm not very happy about it. Shiv Sena has always tried to restrict the growth of women in the name of Indian culture and takes pride in spreading communal messages. How can anyone forget the Bangalore bar incident? Girls were beaten up by Shri Ram Sena Activists for having a drink in the bar along with their male friends. Excuse me, but i thought this was India! Indian culture always stood for respecting women and what are they trying to preach by going around beating women? They have their parents and other elders to correct them if anyone feels that the girls have done some horrible sin. Advising them would have been ok, but beating them up publicly in front of TV cameras cannot be justified in any way! Rise of Shiv Sena and other similar 'Senas' in Kerala is definitely going to lead the society into the pit of communalism. The inquiry commission appointed by the High Court has come to the conclusion that there is no racket involved in the whole 'Love Jihad' episode and the fears of the same are unnecessary. But not everyone is happy with the report it seems! Its interesting to note that parents of children having inter caste marriage worry more about their children converting to other religion than about the idea of them living with someone of another religion. Our society has changed a lot but there is still a lot of things that need to be shaken off. I wonder when people will start realizing that love is beyond religion and should not be weighed down by it. Religious belief is a good thing but forgetting that the religion was made 'for the wellness of the people', and not 'people for the wellness of religion' will only demean both religion and love. 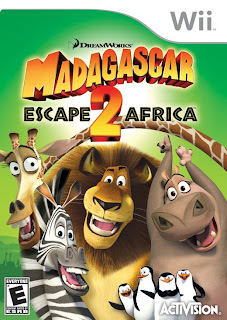 Recently, I saw two animation movies- ‘Bolt’ and ‘Madagascar, Escape 2 Africa’. 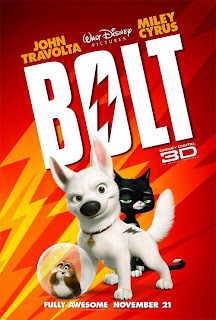 I had wanted to watch ‘Bolt’ ever since I watched its trailer on TV. The trailer had this super dog, Bolt on a chase with some ruffians. The dog used its super powers to defeat the villains. It was a really cool trailer and it made me eager to watch the movie. So, I sat down expecting some really awesome animations. The beginning was nice with the chasing scene and all. Then we realize that the dog actually has no super powers and that its merely acting in a movie with everyone except Bolt knowing the truth. Through precisely timed action sequences and effects the dog is lead to believe otherwise, so that the crew can capture the real emotions on his face. Never having left the sets and always under the care of his beloved master, Penny, Bolt suddenly finds himself lost in the busy city with all the strange creatures of the street. 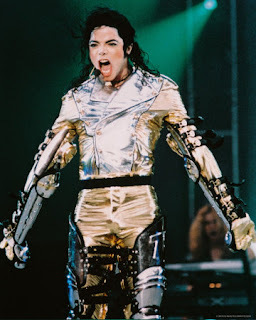 Still believing to be invincible, he ends up in some trouble. This part was quiet boring with the dog taking an incredible lot of time to realize the truth. But from the part where he meets the rowdy cat, Mittens and strikes up friendship, there was no stopping the movie from getting good. It was really cute to see Mittens teaching Bolt how to be a normal dog. Along with a hamster, Rino, the two embark on an adventurous journey to Hollywood. The story ends with Bolt back with his beloved Penny living the life of a normal dog along with his two buddies, Mittens and Rino. ‘Madagascar, Escape to Africa’ is the story of a dancing lion from New York zoo going on an adventurous journey with his friends, a zebra, a giraffe and a hippo. He ends up in his homeland in Madagascar and meets his long lost parents. The movie has its moments but overall it could be termed as a slapstick comedy. Last day shuffling through old books I found this poem that i had written a few years back. I cry to the pillow my only mate. Neither did the stars wink as they had. Took away the charm of the night. The mourning soul, writhing in pain. Didn’t know when I stopped living. I exist just for those haunting memories. But can’t just forget them that’s all I know. My suffering soul exists just for the spring. Taking away those painful nights. ISRO has made India proud once again with the discovery of water molecules on the surface of moon. 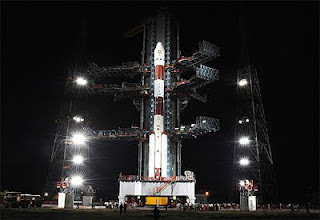 Chandrayan along with NASA’s payload, ‘Moon Mineralogy Mapper’ has made a breakthrough discovery, which is going to give a new vigor to our space odyssey. Astronauts of future will be able to extract water from moon and use hydrogen to fuel their rockets and oxygen to breathe. Moon can also serve as transit point for our inter-planetary missions. The discovery is also a great boost to our search for water on other planets. A new theory is being formulated on the planets where the probability of finding water is high. According to this theory, planets with silicon compounds on their surface have an edge over the others. Third World War is predicted to be for water and finding water on any other celestial body gives the scope for hoping that maybe, just maybe, this will extend the lifespan of human race a little further. The entire crew of ISRO needs special applause! They have reaffirmed to the world, the superior quality of our scientific community and technical capabilities. The nation is proud of you and we hope ISRO will be able conquer space not only for India but also for the welfare of the entire human race. China was never the favorite of human rights activists. With its stringent rules and restrictions, China has always alarmed the world. China’s oppressive measures in Tibet and the subsequent condition of the Tibetans are very much familiar to us. But there is more to Chinese brutality. East Turkistan is a region situated in the northwestern parts of China and thickly populated with the ethnic group of Uighurs. These people who speak Turkic language follow Islam. 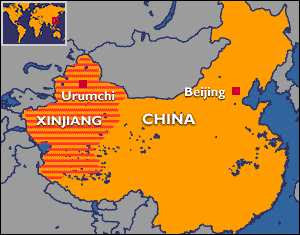 Established as the ‘East Turkistan Republic’ in the 1940s,this nation was annexed by China and renamed Xinjiang (meaning ‘new territory’). This region came to the attention of the world in this July, when the Chinese president left the G-8 summit mid-way and returned home due to an Uighur uprising. The Uighurs who have always wanted an independent country were not only denied it but were also deprived of their fundamental and human rights. They are not even allowed to worship in accordance to their religion. In order to dilute the borders, a large number of Chinese people are being relocated to the Xinjiang province. In the 1940s the Chinese population in Xinjiang was a meager 4%, which rose to 40% by 2000. The recent Uighur uprising was brutally crushed by the Chinese government and the unofficial death toll is 197 while 1721 were left with injuries (officials claim much smaller figures). The Uighurs who escaped from the region has setup a ‘World Uighur Congress’ with its headquarters in Munich. 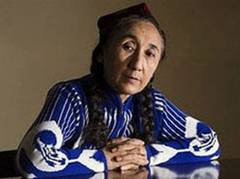 Their leader is a former businesswoman, Rebiya Kadeer, who is now a refugee in USA. The Uighurs in and out of Xinjiang is pleading to the international community for support, something they rarely get. No one wants to incur the wrath of China, which i s all set to become one of the major world powers in the coming years. But it’s high time they renewed their policies regarding Xinjiang and Tibet. China is trying to project the protesters as terrorists and is including them as targets in their fight against terrorism. If an independent nation is too much to ask for, at least human rights of the people can be easily granted. I think it’s the responsibility of all the world nations to rise up and stand by the oppressed Uighurs for the freedom they deserve. Pakistan won the T20 World Cup defeating Sri Lanka by 8 wickets! And I’m really happy!!! The speech given by Pakistan Captain Younis Khan was really touching. It was more of a plea to the world not to discriminate against Pakistan and their cricket because of terrorist threats. Well isn’t that true? Just because a few people are supporting terrorists should we treat all the people of the nation as terrorists? They are also humans like you and me. The only difference is that they were born in a land torn apart by terrorism. It’s our support and encouragement that they need to stand up against the forces that are destroying the sanctity of their homeland. And I’m totally against the idea that Islam is a bad religion and that all Muslims are terrorists. Islam is one of the most beautiful religions in the world. There are very few religions that can equal them in the case of dedication and goodwill. I extend my heartfelt congrats to the Pakistan team and to its superb captain. Being the close neighbors of Pakistan and having shared a long history, I do feel that all Indians should give full support to the country. It might seem difficult to some who see Pakistanis as enemies (thanks to the umpteen number of films which portrays them as inhuman people) but don’t forget that behind all those grotesque pictures there is a mass of common people who want to extend a friendly hand. I hope that at least in the coming years the cloud of mistrust will lift between the two nations and India and Pakistan will unite in spirit like the pre-partition era. 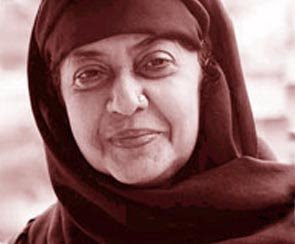 One of the most famed and talented writers of all time, Kamala Surayya passed away during the wee hours of 29th may. I was not quite familiar with her works until recently when I got the opportunity to read her autobiography,’Ente Kadha’. Until then, she was just another familiar name often seen in newspapers. (I had one of her English poems to study in school) If I had seen her autobiography in a library, I would have never picked it up. It was my friend, Aswathy (who happens to be a great fan of Kamala Surayya) that prompted me to read it. The front cover of the book had the photo of a strikingly pretty and young Kamala. Her wind blown hair and modern attire seemed to match with her carefree life of contradictions and conflicts. Right from the first to the last, the book amazed me with its candid style. Kamala was a lady of heart whose never-ending love story was against the social conventions. I respect the lady for her courage in laying bare things that people usually sweep under the carpet. She doesn’t try to portray an image of a homely girl, solely devoted to her husbands needs. Instead, she boldly speaks about her innermost feelings, desires and sexuality. Her story is a very eventful one and its the story of a lady who yearned for love and was ready follow her convictions and beliefs even if she had to face oppositions. To go with current is easy but to swim against it is a job of the bravest and Kamala Surayya was one such lady. A month of good time is finally over! Just 5 more days to go before the end of my study hols. Then my university exams begin. It’s been a really short month with hours and hours of TV, sleeping, reading and browsing. 8) Asking others if they have started studying! Well, that’s exactly what happened in my case too. I had made a really good timetable for studying with ample time for fun also. But I was never good at keeping a timetable and as usual, within 2 days the whole schedule went topsy- turvy (Except for the fun part). My daily routine for the month was something like this. 9.00am - Wake up time. 11.30-12.00pm -Opens book and flips pages. 12.00-1.00pm -Fights with sis and hangs around mom. 3.00-4.00pm -opens book and sleeps. 9.30-11.00pm- Reads newspaper and then off to bed. I’ve been a voracious reader right from my childhood. As a child I used to love reading storybooks. I’ve often heard my mom recollecting how I used to cry for storybooks when other children wanted chocolates and toys. The world of books has always fascinated me. As they said in ‘Namesake’, “Books let you travel without moving an inch”. They take you across unseen lands and give you a treasure trove of knowledge on any topic. I’ve often wondered how much those people who don’t read are missing out. One of the best things that could have happened to me was a life long membership in EMS Co-operative library at the age of 10. When I first got a membership there it was just a one-roomed library in the second floor of EMS Co-operative bank and now it has grown into a full-fledged library with all modern facilities. I still remember the first set of books I took from there- ‘The tale of twin cities’,’ Black Beauty’ and ‘Jane Eyre’. I used to love the time spend there among rows and rows of books. And I think it was from that time that I started of dreaming about a library of my own. With ceiling high shelves filled with books on all topics. Those days I used to be a great admirer of English classics (I still love them! My all time favorite books are, ‘Heidi’, ‘Black Beauty’ and ‘Anne of Green Gables’. I never get tired of reading them!) And so my dream library had the English touch with Victorian style furnishings. I even dreamed about having a secret room hidden behind one of the shelves where I would retire for a peaceful reading, far from all disturbances (I think I got that idea from Famous Five). My school also provided me with an excellent collection of books. My library teacher, Jayashree miss was a good reader and a lady of a strong and impressive personality. 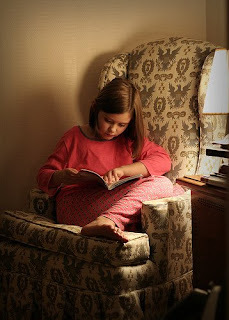 She was very strict that we should not confine ourselves to reading just one genre of books. My friend circle has always been one of book lovers. Discussions on books have always thrived in my gang. Though initially very supportive, the attitude of my parents towards my reading habits changed as I grew up. Can’t blame them! If I get into a book, I forget everything else. I used to smuggle book into bathroom and spend hours reading them (my parents never really figured out why I was taking so much time for bathing!) I’ve even spend the entire night reading Harry Potter, cleaverly hidden under my textbooks. But the net effect was that my father banned all books except the texts in my room! But rules are to be broken and I manage to get hold of a book or two once in a blue moon, courtesy to my very benevolent friends! A cup of coffee, whiff of fresh air and an interesting book is all I need to be happy in this world!! The results of the Loksabha elections are out and the Sonia lead UPA has swept majority seats in the country with UDF back in majority in the state. The results are very much satisfactory and I’m more than happy that it will be Manmohan Singh govt and not Advani govt, which will rule the nation. But if the reports are to be believed 153 MPs with criminal records have found place in the Loksabha- 43 from BJP, 41 from UPA, 9 from SP and 8 from SHS. 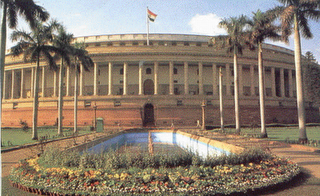 Many reasons can be listed for the phenomenal success of UPA. The various measures taken by the govt for the up-liftment of the lower section of the society has made it very popular among the masses. The ‘sure job’ scheme was an immense hit! The strong stand taken by Manmohan Singh in the nuclear deal was also a deciding factor. More than anything, the courage of our Prime Minister to go forward with the deal, in spite of strong opposition from the left has given the people a reason to believe in the nuclear deal. The presence and policies of Rahul Gandhi cannot be ignored. Coming from the first family of India and bearing the lineage of some great leaders like Jawaharlal Nehru, Indira Gandhi and Rajiv Gandhi, the common man has a lot of hopes pinned on this young leader. The youth looking forward to a robust government also looks up to Rahul.With his Blackberry technology, innocent looks and firm decisions Rahul has proved to be a strong presence in Indian politics. With his open criticism of certain party policies, strong decision to participate in the election without the support of its allies and bold ideas like talent hunt for young leaders has won the heart of the people. Lack of experience is the only thing between Rahul and Prime Minister ship and hopefully next LokSabha elections will see his ascend to power. BJP’s Hindutva policies have lead to the decrease of their popularity among the people. People like Narendra Modi with his extremist views might succeed regionally but not all can be convinced with his agenda. BJP has been criticizing UPA for its soft corner towards terrorism. There is some reason in it if you consider the withdrawal of POTA act. But apart from Mumbai attack, the government was able to curb much of the terrorist activities. The proving of Pakistan’s interests in Mumbai attack would have ended in war if our Prime Minister hadn’t been so patient (with his sweet smile and soft spoken nature, Manmohan Singh reminds me of Gandhiji! ;)) It’s a good thing to know that during this time of recession we have one of the countries best economists to lead us (Manmohan Singh). The fact that UPA has emerged as the single majority party will also put them in a position to form a government without much pressure from Lalu, Mulayam and the rest. I hope they will bring up a government of educated, cultured and inspired men to lead the nation. The Kerala politics also saw some remarkable results. At least by now I’m sure some of our leaders would have got the cue that people can’t be taken too lightly, neither can they be fooled. I’m really happy that the wrong decisions of the CPM have been punished in the right manner with the election results. The Pinarayi-Achudanandan clash and Karat’s and parties support to Pinarayi had wounded the emotions of Keralites. The one CPM leader on whom the people had a lot of faith and hopes is Achudanandan. His bold decisions and unruffled nature has got him many admirers including me. It was a real shock to see the party supporting a man like Pinarayi included in Lavlin case and not the truthful Achudanandan. The worst thing was that there seemed to be no one in the party to support him. Pinarayi who used to claim that he is ready to face any enquiry regarding Lavlin was seen moving lawsuits to prevent CBI enquiry! The CPM, which had always stood by communist and social ideas, was seen shaking hands with PDP and its communal leader Ma-Adani (said to have terrorist link ups.) Even in Bengal, CPM’s policies supporting the industrialists against the poor peasants and the Singoor case, has lead to its downfall. CPM as a whole is deviating from its age-old principles and Achudanandan seems to be the only one protesting. The election result is a strong warning to the Left that people are very much against their decisions and moreover as a mark of support to one of the best leaders in India, V.S. Achudanandan. 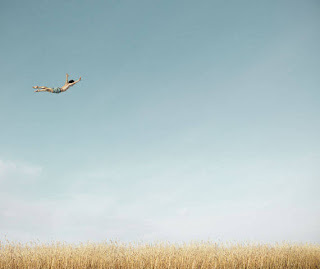 People usually consider advertisements as a nuisance. But I love watching them. To make an advertisement you need a lot of creativity. A bit of imagination, a lot of hard work and animation make superb and catchy advertisements. 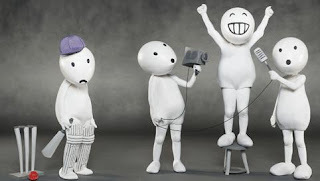 The recently broadcasted advertisement of Vodafone is one that really fascinated me. It has a lot of small white figures named Zoozoo, running around and doing stuff. There is this really cute one where one of them plays around with a crocodile. Another one where, one of them reads the newspaper and faints. Then one where a lot of them huddle near a radio. There are a lot of these short and catchy ads in the series. The movements and actions of Zoozoo is lovely and the background score, superb! It’s a pleasure simply watching them. But the most amazing fact is that they are not animated figures. Its actually people wearing costumes and enacting the parts. Now no one would have imagined that! The advertisement took more than a month to be shot since the artists couldn’t see a thing through the costumes and so had to practice and perfect the moves. The end product is nothing less than perfect. After the famous ‘Happy to help’ series of ads featuring the pug, Vodafone has come up with an equally good one. The talent of these ad makers needs to be appreciated. Why don’t we have any awards for ‘Best ads’? I think its high time we had one. Finally my model exams are over and my college has closed for study holidays! Its bye to two weeks of hectic schedules, sleepless nights and alarms! 1)Your brain works really well during the exam time. The rate of learning increases manifold. The portions, which might take weeks to understand suddenly become clear with a glance the day before exam. 2)The love of sleep seems to vanish all of a sudden. You start counting the number of waking hours left before the exam and devise ways to maximize it. 3)It’s the last minute learners who really realize the value of time. Every minute counts before the day of the exam. Even while eating, I keep my books near me so that even those few precious minutes don’t go waste. (Well I even go to bed with books hoping some fairies would transfer the contents into my head while asleep!! 4)This is the best part. After the hard work, we are the ones who enjoy the breaks after the exams to the maximum. After weeks of dreaming about it finally we catch up on all those sleep and missed TV programs. Proud to be a last minute learner!! [P.S: I wont disagree to the fact that it has lot of side effects too. Stress, tension, disrupted daily routines etc. But without these life would loose its charm. I believe that it’s these small difficulties that make life worth living. I did it!!!!! Finally I voted! For the first time in my life I cast my vote. The long wait from the day I got my name registered is finally over. 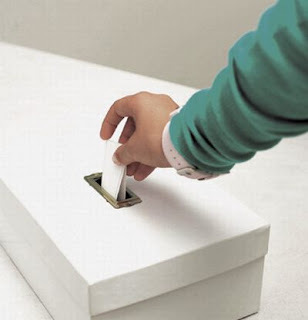 Today, I cast my vote in the LokSabha elections. It was a good experience. I was a bit tensed because I had to go to the polling station alone as my parents have electoral duty. But everything went fine. There was a good crowd at my poling station. Saw many familiar faces in the crowd. The most heartening scene was that of really old and handicapped people coming up to vote. The number of youngsters was also not very bad. All the reports coming in suggest that this time the polling rate is going to be better than the last years 60-70% in Kerala. The candidates have all gone tech savvy this time. They are utilizing a lot of new technologies in their campaignings. Through web portals, sms, mails, ringtones and caller tunes they have been trying to etch their names and symbols into our minds. Networking sites have also been abuzz with politics with some candidates even spreading their messages through their profiles. Some candidates have even come up with music albums to promote their parties. Few days ago some party workers had visited my neighborhood to show first time voters like me a live demo on the formalities of voting. Telivisions were also full of hot debates between the candidates and the public. 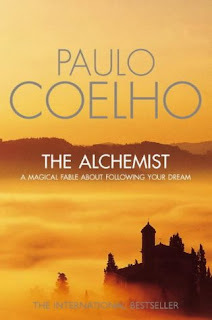 I just finished ‘The Alchemist’ by Paulo Coelho and I thought I ought to let you guys know about it. It was a very interesting book. The kind, you can’t just put down. I’m not generally interested in travelogues. But this one was different. It’s not quite the travelogue kind more about chasing dreams. I had a long lost dream of visiting the mystique Himalayas, a dream I had long forgotten but this book rekindled the dream in me to explore, to trod the untrodden paths and discover the beauty of god’s creations…. The protagonist. Santiago is a boy who has shown the courage and willpower to chase his dreams throwing away all the social stigmas. He chose the wandering and less recognized life of a shepherd to a life of farmer. This is a story of how he overcomes the hurdles along the path, learning from the people and places some of the most valuable lessons of his life. The story teaches us that the first step in realizing your dreams is realizing yourself. 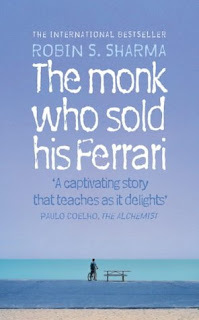 Harnessing the immense potential from within and believing in the path shown by the heart..
Today I’ll tell you guys about the book I’m reading right now- ‘The monk who sold his Ferrari’ by Robin Sharma. It had first caught my attention when it topped the Bestseller list some time ago. Way then I liked the title and the Indian ness in the author’s name. Like all Indians, my heart too gets stuck easily with internationally acknowledged ‘Indian makes’. I did hear that the book dwelt a lot on spirituality and that made me more interested (You see, spirituality is my latest field of interest). I loved those praises showered on India and her philosophies. There where a lot of motivating and really exciting concepts in the book. The kind of stuff you read in the Indian spiritual texts but with a very modern approach. ‘The heart of the rose technique’ sounds good. But that’s not one for me. 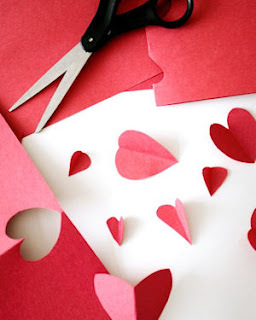 Can’t waste money on buying a rose everyday (The price of flowers are rocketing as if recession really got there too). I often use a more simple way for meditation. When I feel really bored or stressed out, I start counting down from 100 to 0, visualizing each number. If I’m really feeling crazy, I try out counting from 200 or even 300.I find it very effective for me. It helps me fill the voids with meditation. You don’t need any specific time or place for doing it. When I get bored waiting for bus or when I’m feeling really sleepy on a lecture hour I use this.